At Today's Dental in Edmonton, we provide porcelain crowns (caps) for our patients. See below to learn more about porcelain crowns (caps) and what is involved in the procedure at our Edmonton office. A porcelain crown (or cap) is a covering that encases the entire tooth surface restoring it to its original shape and size. A crown protects and strengthens tooth structure that cannot be restored with fillings or other types of restorations. Although there are several types of crowns, porcelain (tooth coloured crown) are the most popular because they resemble your natural teeth. They are highly durable and will last many years, but like most dental restorations, they may eventually need to be replaced. Porcelain crowns are made to match the shape, size, and colour or your teeth giving you a natural, long-lasting beautiful smile. In the past, a crown procedure at our Edmonton office usually required two appointments. Your first appointment would include taking several highly accurate molds (or impressions) that would be used to create your custom crown. A mold would also be used to create a temporary crown which would stay on your tooth for approximately two weeks until your new crown is fabricated by a dental laboratory. While the tooth is numb, the dentist would prepare the tooth by removing any decay and shaping the surface to properly fit the crown. Once these details are accomplished, your temporary crown would be placed with temporary cement and your bite checked to ensure you are biting properly. 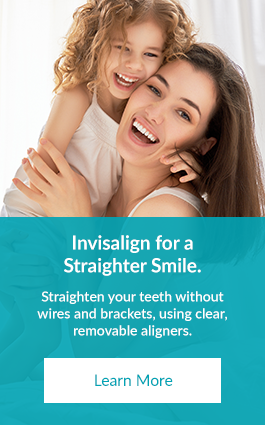 At your second appointment your temporary crown would be removed, the tooth cleaned, and your new crown would be carefully placed to ensure the spacing and bite are accurate. However, we now have the latest technology to complete your crown in one visit! We have just invested in CEREC CAD-CAM technology that allows us to digitally scan your teeth and then fabricate your new porcelain crown in about 15 minutes. No more messy impressions or temporary crowns and you no longer must wait 2 weeks to get your crown. We would complete your treatment the same day, saving you a second visit. This technology would apply to most crown treatments. You will receive care instruction at the end of your treatment. Good oral hygiene practices, a proper diet, and regular dental visits to our Edmonton office will aid in the life of your new crown.